(VEN) - The Vietnamese real estate market showed positive changes in 2016. Experts forecasted its stability in 2017 with projects focusing on apartments for low-income people. 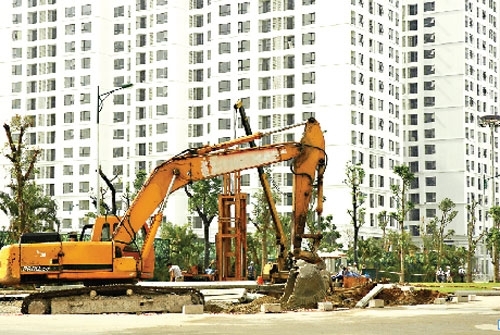 According to Pham Van Thuong, Head of the Housing and Real Estate Market Management Agency under the Ministry of Construction, the market continued recovering in 2016. 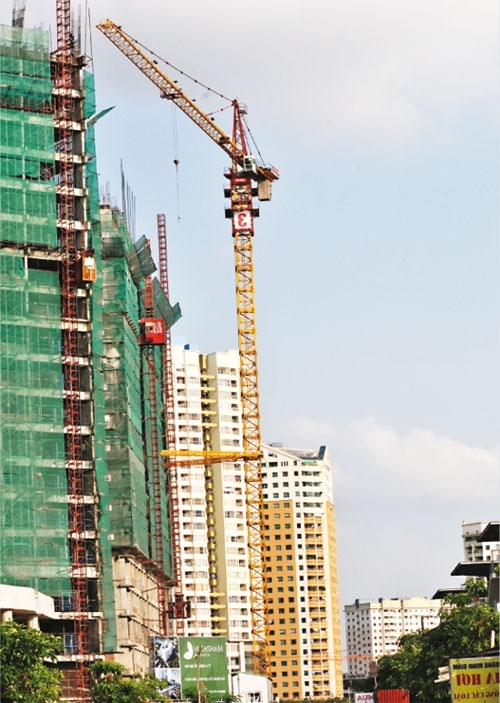 A Hanoi Construction Department report showed that the city had 20,665 apartments eligible for sale according to the Law on Real Estate Business. The absorption rate reached 74.5 percent with 15,400 apartments sold through successful transactions. Overall, supplies met market demand but focused on high-grade apartments. The situation in Ho Chi Minh City was similar to that in Hanoi, with more than 15,000 successful transactions, including about 1,450 in December alone. Most of successful transactions came from the segments of medium and high-grade apartments. Dr. Tran Kim Chung, Deputy Director of the Central Institute for Economic Management, said that real estate transactions increased in the second half of 2016 following a slowdown in the first half. The absorption rate in the apartment segment reached nearly 80 percent - the highest level in the past four years. Some 5,273 apartments were sold nationwide in the third quarter, a rise of 52 percent compared with the second quarter. Real estate prices grew 5-7 percent in the primary market and 10-15 percent in the secondary market, as recorded by market research organizations. Notably, the number of new real estate businesses established in 2016 was 99 percent higher compared with that in 2015, with registered capital growing 242.5 percent. Real estate loans increased by an estimated 12.5 percent compared with 2015 (in 2015 compared with 2014, the growth was 28.4 percent). According to the State Bank of Vietnam, loans for construction, repair, and purchase of housing accounted for 34.3 percent of the total; construction of urban areas 19 percent; and investment in other types of real estate such as restaurants and hotels 21.8 percent. Data from the State Bank of Vietnam also show that overseas remittances are a major source of capital for the real estate market. Overseas Vietnamese repatriated US$10-13 billion annually, about 21 percent of which was invested in the real estate market. Ho Chi Minh City alone received an estimated US$5.7 billion in 2016. This specific capital resource is predicted to further increase in 2017. Dr. Tran Kim Chung forecasted a slowdown in real estate transactions and a big gap between different segments in the real estate market. Some projects may be delayed because there is almost no room for commercial banks to provide short-term loans from January 2017, as guided by the State Bank of Vietnam. About VND100 trillion of bad debts remain yet to be resolved. For these reasons, real estate businesses will concentrate on housing for low-income people and cheap apartments worth around VND1 billion in the coming period. “This trend can be seen through low-priced apartment projects of real estate investors such as Him Lam and Nam Long. These investors are willing to accept low profits to boost sales,” said Su Ngoc Khuong, Investment Director of Savills Vietnam. Vietnam National Real Estate Association Vice President Nguyen Manh Ha predicted further growth of the real estate market thanks to increasing investment in the segment of tourism and relaxation facilities. He believes foreign investors, including private investment funds and major financial institutions in the region, will pay greater attention to the Vietnamese market in 2017. Vietnamese real estate market in 2016.